Does DHL Have Something to Do With Salah’s Sudden Disappearance From Social Media? 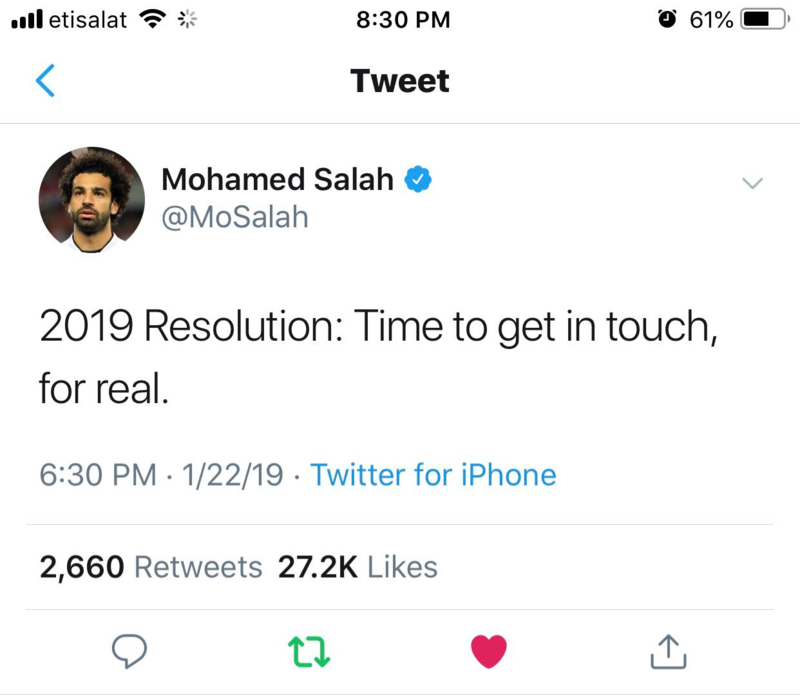 A few days ago, we told you all about Mo Salah’s surprising decision to deactivate all his social media accounts. Indeed, Salah left us with nothing but a vague tweet, spiking our interest and creating room for many fans to speculate and overanalyse. Since then, Fans from around the world have begun to send Salah heart-warming letters and gifts to show him how much they love and support him. In response to all this Salah-mania, DHL Express has announced a competition on its website ; in commemoration of its 50th anniversary, DHL will select the presents and letters from 50 lucky fans, and deliver them straight to Salah himself. The year 2019 started out on a great note for the Egyptian King, Mo Salah, as he was named African Footballer of the Year for the second consecutive year, after an outstanding performance in both the World Cup and the Premiere League. We can’t wait to see Salah steal the show at the African Cup of Nations this summer!